Caffeinated Peanut Butter Chocolate-Chip Snacks?! Ingredients (above): peanuts, dates, organic dark chocolate chips, honey, vanilla extract, caffeine from pure coffee beans. 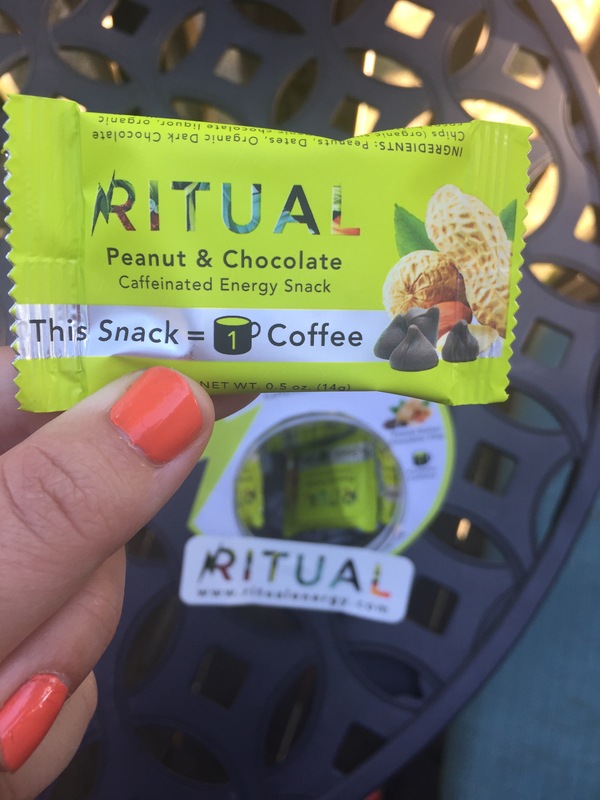 You can take a look at buying them here Ritual Energy I tried the peanut but they have chocolate hazelnut in their lineup as well. I’m curious to know what you think?! I completely agree with your take on these. 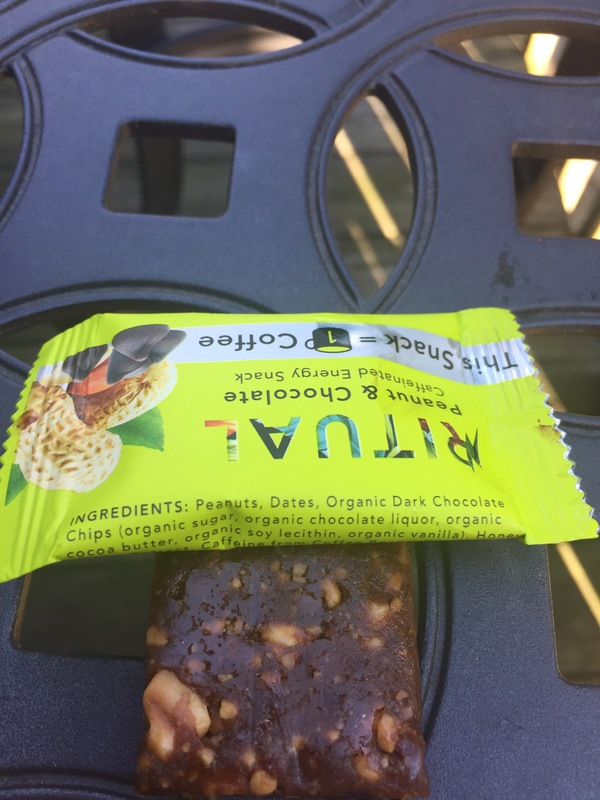 I have tried them and have tried the chocolate hazelnut bars too. In a word, awesomeconvenientwherehaveyoubeenallmylife! Seriously, these are so good, convenient, and pure, and a part of my daily routine. I own a motorcycle dealership and I put them on on the parts counter after trying and being impressed with them myself. The reception to them has been awesome! People love the taste most of all but also the convenience of a quick pick me up!! It’s also great to be able to take a couple on the road for that quick boost on an afternoon ride.